Technology is Complex. Buying It Doesn’t Have to Be. Technology is the lifeblood of any business, whether it’s a mom-and-pop store around the corner or a global enterprise. The increasing complexity of business applications coupled with the explosion of technologies and new service providers means it has never been more daunting to engineer, purchase, implement, or manage IT and Telecommunications infrastructure. It’s a full time job to keep abreast of nascent technologies, best practices and compliance. It’s also a full time job to determine the right solution architecture, evaluate service providers and negotiate agreements. Chances are, it’s just not your full time job. We have developed a simple yet comprehensive process to make your technology procurement project seamless while providing you the best possible outcome. Datatel Solutions has expertise in in all aspects of the technology that is at the very heart of your communications and IT infrastructure. 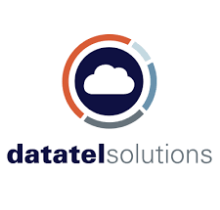 Datatel Solutions is a Master Agent that represents over 50 different service providers. Our partner program is perfect for VARs, MSPs and telecom consultants that are looking to generate additional residual revenue streams and increase the value of their business.